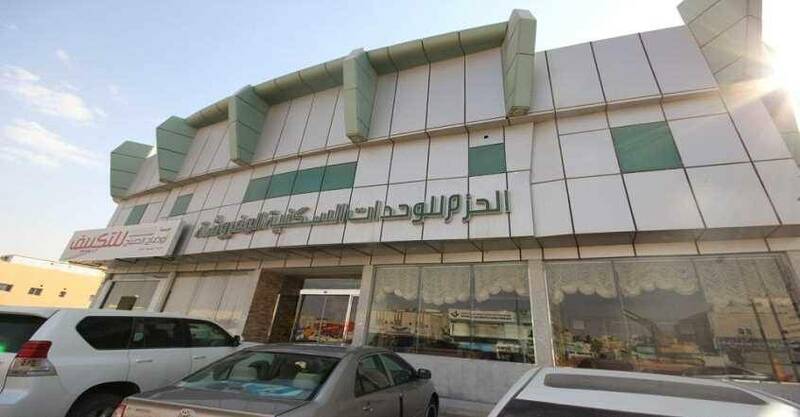 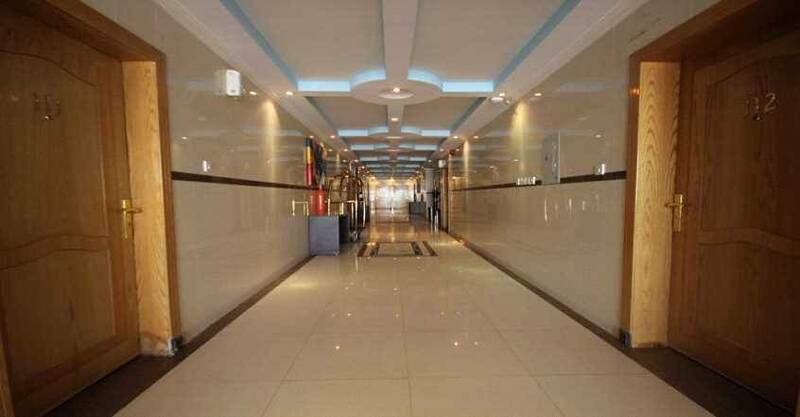 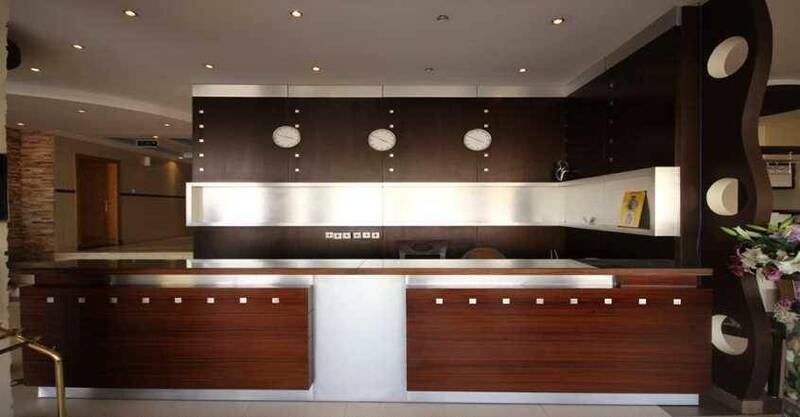 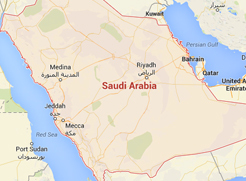 Shaza Al Hazm is a second class, it located in Bakr Siddiq Street, Al Masif District, Riyadh. 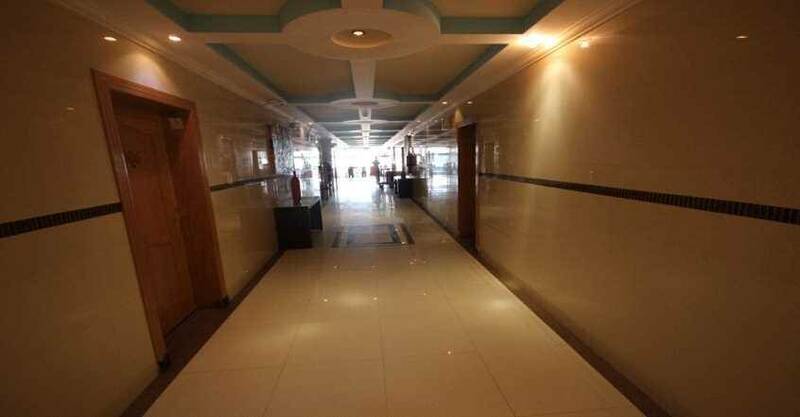 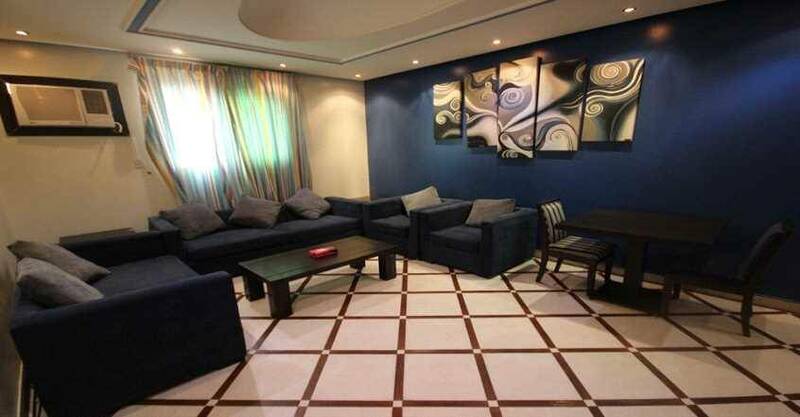 It is only 2.5 km away from Tala Mall, and 2.9 km away from Sahara Mall. 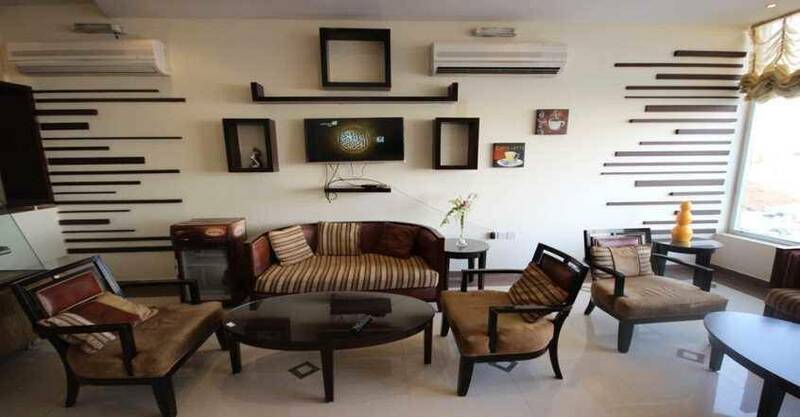 With its unique location, the furnished units own a comfortable furniture. 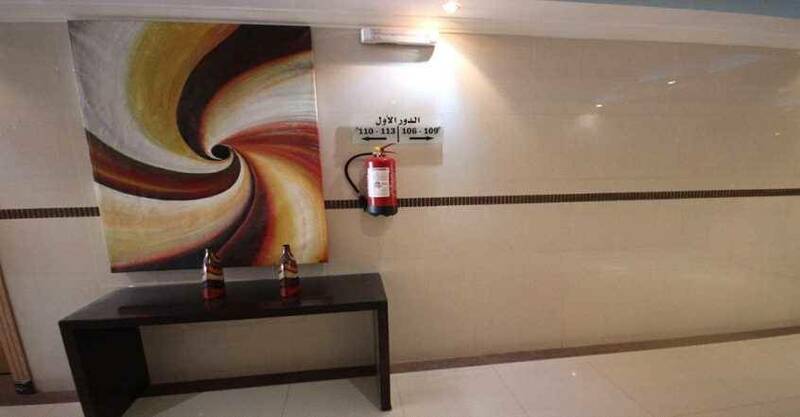 Shaza Al Hazm offers room service. 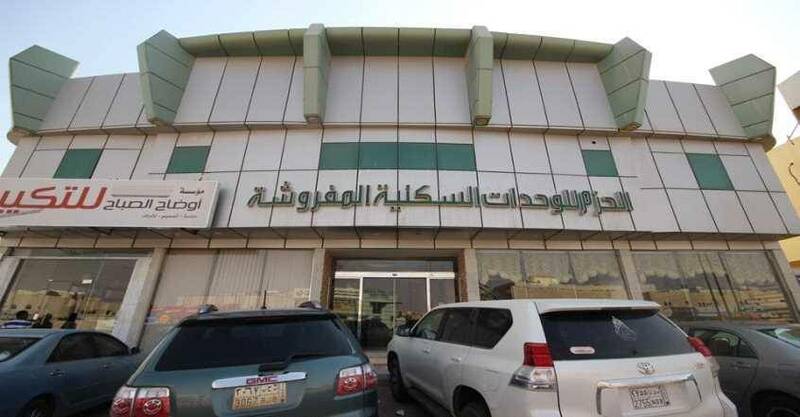 Enjoy discovering Riyadh City by visiting the important landmarks such as: Saudi Post, Saudi Telecom Company, Dr. Ahmed Abanme Medical Center, and College of Telecom & Information. 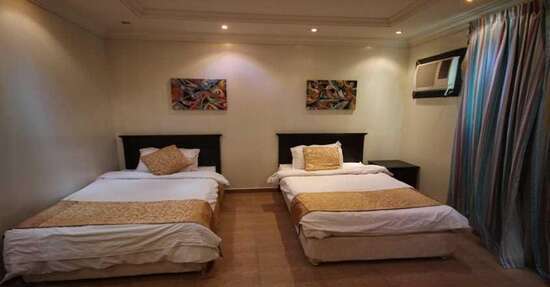 It offers private parking lot to enjoy a wonderful stay. 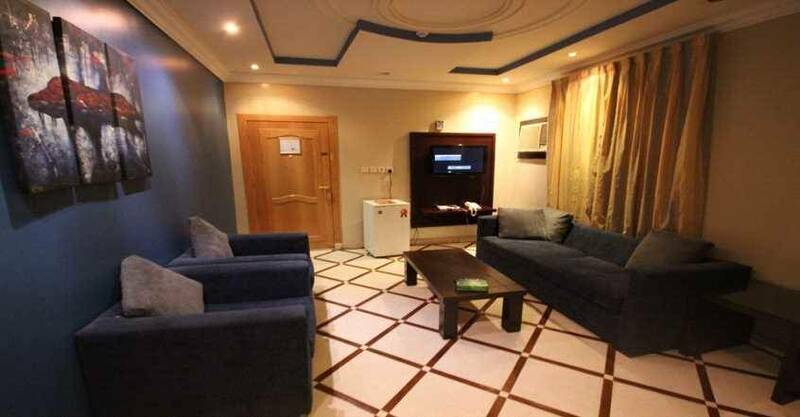 When would you like to stay at Al Hazm 1 ? 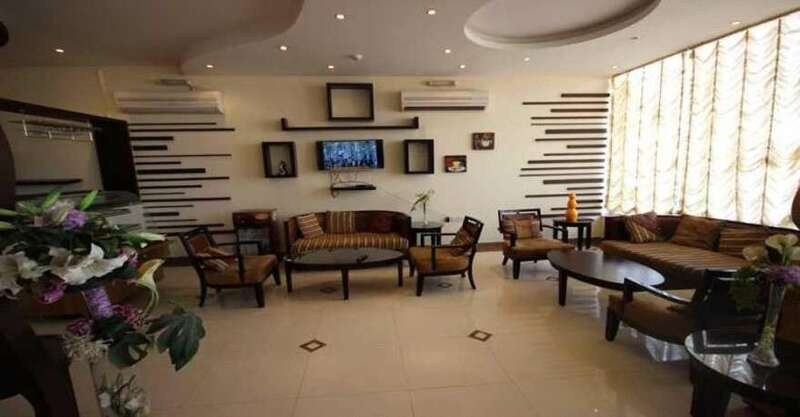 This apartment includes one bedroom with one double bed, the apartment also includes living room, seating area, sofa, kitchen, dining area, and private bathroom, to spend a comfortable stay. 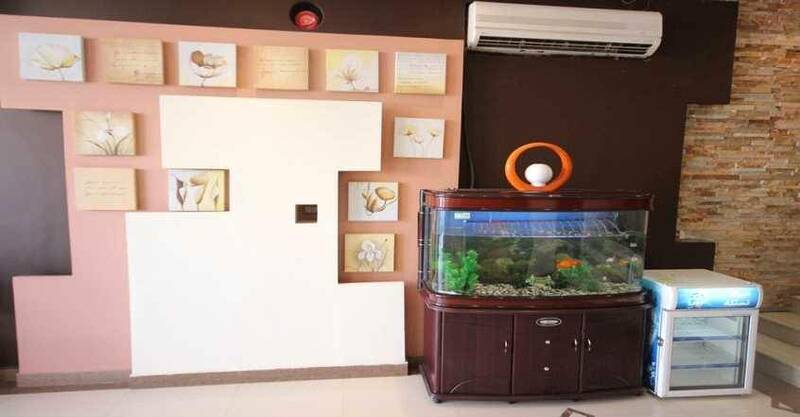 This apartment offers two bedrooms, the first bedroom offers one double bed, and the second bedroom offers two single beds, the apartment also includes separate living room, seating area, sofa, kitchen, dining area, and private bathroom, to enjoy a pleasant stay. 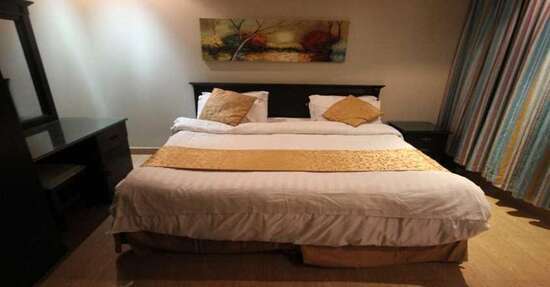 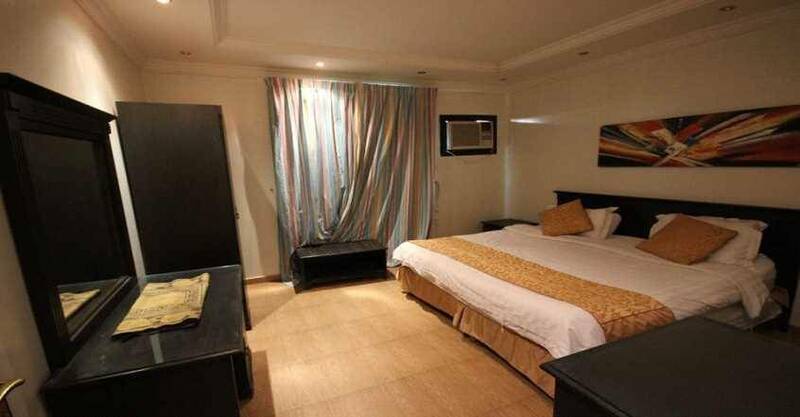 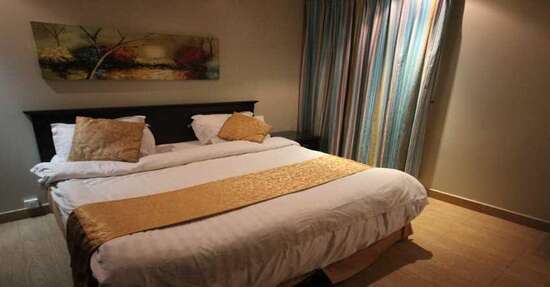 This room offers one double bed, seating area, sofa, and private bathroom, to enjoy your stay. 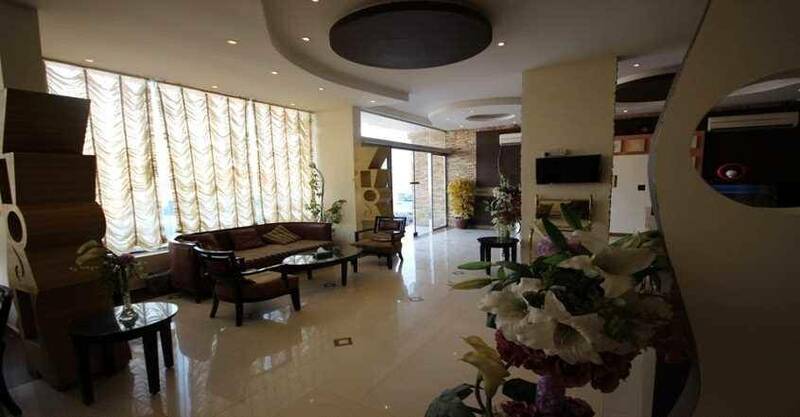 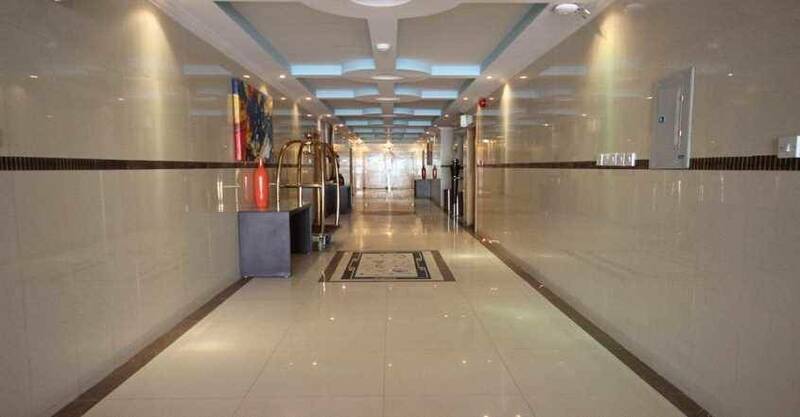 Shaza Al Hazm contains a highly convenient units of three types of apartments and rooms, fully equipped with all sort of services and amenities such as air conditioning, telephone, flat screen satellite TV, seating area, sofa, and private bathroom. 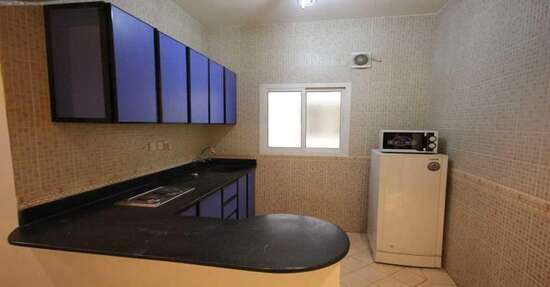 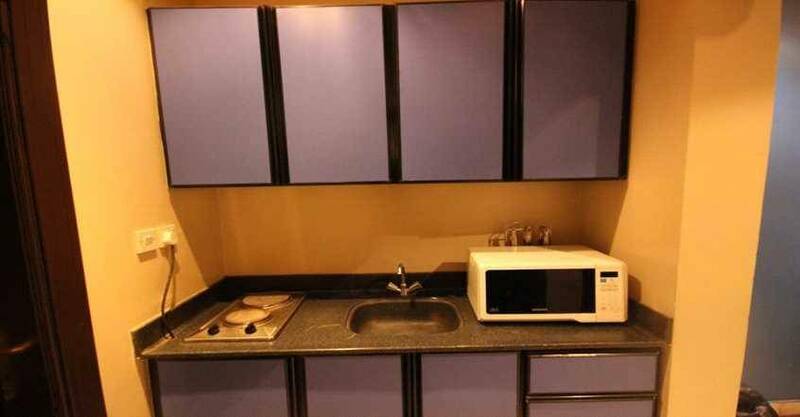 There is also kitchen, microwave, refrigerator, and dining area. 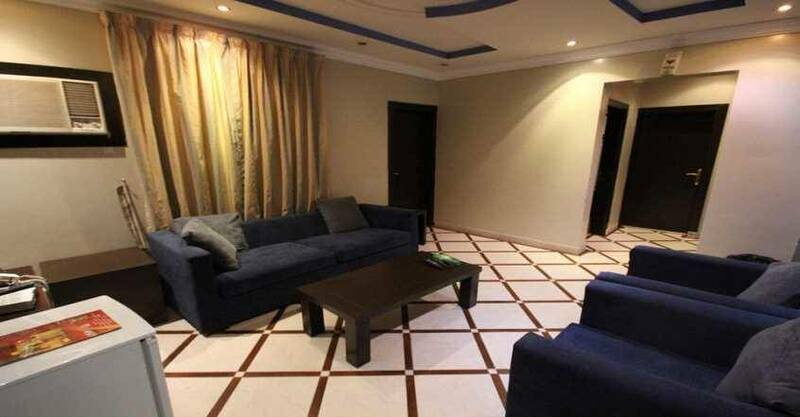 The units have several decors with types and sizes include: Standard Double Room, One-Bedroom Apartment, and Two-Bedroom Apartment.